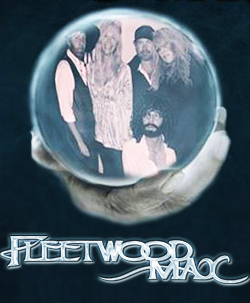 Fleetwood Max is the country's Definitive Fleetwood Mac Tribute Band - an authentic recreation of the music, magic, and incredible stage production of the legendary Stevie Nicks & Fleetwood Mac at the height of their career! From the Rumours album in 1977 to current touring set lists! Stevie Nicks look-a-like / sound-a-like, lead vocalist Sharon Epperson is nearly indistinguishable in every Stevie Nicks move, look and impassioned vocal. Expect to be transported to an enchanted place that is truly Stevie Nicks with breathtaking costuming and compelling performances of Fleetwood Mac / Stevie Nicks hit songs including: 'Sara', 'Gypsy', 'Rhiannon', 'Edge of Seventeen' and more. David Epperson hypnotizes audiences when he takes the stage as Lindsey Buckingham, demonstrating inspired, accomplished guitar and vocal veracity during group performances including 'Go Your Own Way', and acoustic solo flair with a rarely seen live, spot on, note for note performance of the crowd favorite, 'Big Love'. 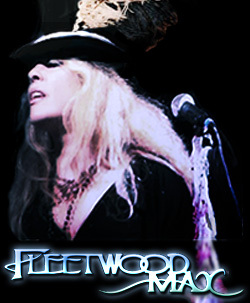 First released in 1975 on Fleetwood Mac's self titled album, Stevie Nicks' 'Landslide', finds the combined talents of group founders acoustically captivating as audience members begin to sing along with the haunting chorus: "Well I've been afraid of changing...cause I, built my life, around you..."
'Rhiannon': written by Stevie Nicks, originally recorded by Fleetwood Mac and released on their self-titled album in 1975. It was subsequently issued as a single the following year. 'Silver Springs', also written by Stevie Nicks, was recorded at the same (Rumours) sessions and was intended for inclusion on the album. However, it was eventually released as the B-side of 'Go Your Own Way' and has been restored to later re-issues of the album. Songs from Fleetwood Mac Rumours: 'The Chain', 'Gold Dust Woman', 'Dreams', 'Go Your Own Way', 'Don't Stop', 'You Make Loving Fun', 'Songbird' (and more). Fleetwood Mac's extensive songbook with the ULTIMATE FLEETWOOD MAC SET LIST!! 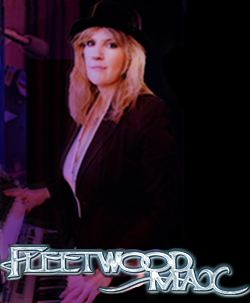 Fleetwood Max is a Concert Tribute group playing Amphitheatres, Concert Halls, Festivals, and Corporate & Private Events with recent concerts attracting crowds of up to 6000 fans and Sold Out shows throughout the United States. 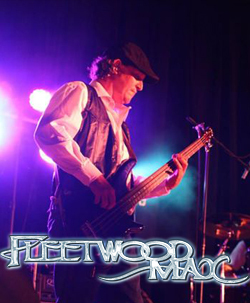 Formed in 2007, Cast Members are professional, touring musicians dedicated to combining their talents to provide the most accurate, personal, live recreation of the Magic that is Fleetwood Mac! The show is Family Friendly and perfect for any event! 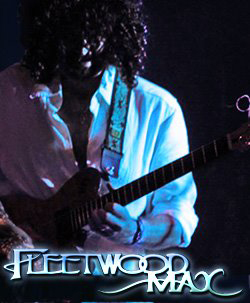 Fleetwood Max was formed in 2007 by Guitarist / Vocalist and current Musical Director, David Epperson, Jr. (‘Lindsey Buckingham’) & Vocalist / Artistic Director, Sharon Epperson (‘Stevie Nicks’), at the urging of agent Richard Rubin. Founders, and cast members alike, are dedicated to accurately portraying the best live and studio performances of Fleetwood Mac and Stevie Nicks. 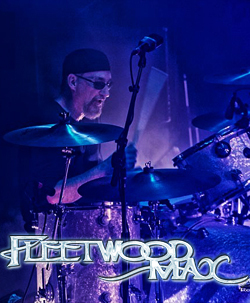 Touring throughout the United States, this unique experience of musical theatre offers an affordable and alternative opportunity to audiences of all ages; the opportunity to enjoy Stevie Nicks and Fleetwood Mac live in concert at Your Community, Theatre, Private, Corporate Event, or Venue. © 2007 - 2020 Fleetwood Max All Rights Reserved.